Lester Sola was appointed Director and Chief Executive Officer of the Miami-Dade Aviation Department (MDAD) by Miami-Dade County Mayor Carlos A. Gimenez and will oversee operations at Miami International Airport (MIA) and four general aviation (GA) airports throughout Miami-Dade County, which together generate $33.7 billion in business revenue and support more than 280,000 direct and indirect jobs. “I am confident that Mr. Sola’s experience in County operations, capital design, construction management contract administration and negotiations will prove invaluable to MDAD and the residents of Miami-Dade County,” said Mayor Gimenez. On February 16, Lester Sola was appointed Director and Chief Executive Officer of the Miami-Dade Aviation Department (MDAD) by Miami-Dade County Mayor Carlos A. Gimenez. He will oversee operations at Miami International Airport (MIA) and four general aviation (GA) airports throughout Miami-Dade County, which together generate $33.7 billion in business revenue and support more than 280,000 direct and indirect jobs. MIA leads the way, handling more than 44 million passengers and more than two million tons of cargo annually, placing it among America’s busiest international passenger and cargo airports. Sola has served Miami-Dade County for more than 26 years, most recently as Director of the Miami-Dade Water and Sewer Department. As Director of the largest utility in the southeastern United States, Sola was responsible for: providing high-quality drinking water and wastewater disposal services to more than 2.3 million residents, businesses and visitors daily; managing more than 2,700 employees and an annual operating budget of $796 million; and leading the largest capital improvement program in Miami-Dade County’s history. During Sola’s tenure at the department from 2015 to 2017, nearly 1,000 projects worth more than $1.1 billion were completed. Sola began his career with Miami-Dade County government in 1992 as a member of the County Manager Management Training Program. He has held several high-level positions including: Contract Coordination Officer in the County Executive Manager's Office; Architectural and Engineering Consultant Coordinator for the County Executive Manager's Office; Assistant to the County Manager; Associate Director for the Aviation Department; Deputy Director for the Department of Business Development; Supervisor of Elections; and Director of the Internal Services Department. 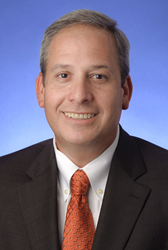 During his more than two decades of public service, Sola has been responsible for: the reorganization of several County departments; coordination and refocusing of the capital program at Miami International Airport; the establishment of small and minority-based programs for the procurement of goods and services; establishment of centralized systems for the tracking of County capital expansion programs and professional services; and the provision of management direction to County departments, management agreements and agencies such as Aviation, Seaport, Beacon Council, Performing Arts Center and the American Airlines Arena. Sola has a master's degree and bachelor's degree in public administration, with a minor in organizational psychology from Florida International University. Miami International Airport offers more flights to Latin America and the Caribbean than any other U.S. airport, is America’s third-busiest airport for international passengers, boasts a lineup of more than 100 air carriers and is the top U.S. airport for international freight. MIA, along with its general aviation airports, is also the leading economic engine for Miami-Dade County and the state of Florida, generating business revenue of $33.7 billion annually and welcoming 70 percent of all international visitors to Florida. MIA’s vision is to grow from a recognized hemispheric hub to a global airport of choice that offers customers a world-class experience and an expanded route network with direct passenger and cargo access to all world regions. MIA is committed to sustainable practices. Learn more at http://www.MIAefficiency.com.